We arrived at our motel in Blenheim to find we had to share the communal toilets & showers but we didn’t care as we were both so pooped that we were crashed out by 9.30pm and didn’t wake until after 7am. Thelma & Louise just ain’t what they used to be! He seems to be following us around! The Brancott Estate Winery & Vineyards, sadly they were closed. They knew Liz was coming…. The lovely little St Oswald’s Church at Wharanui along the Kaikoura Coast. Stunning views along the Kaikoura Coast. 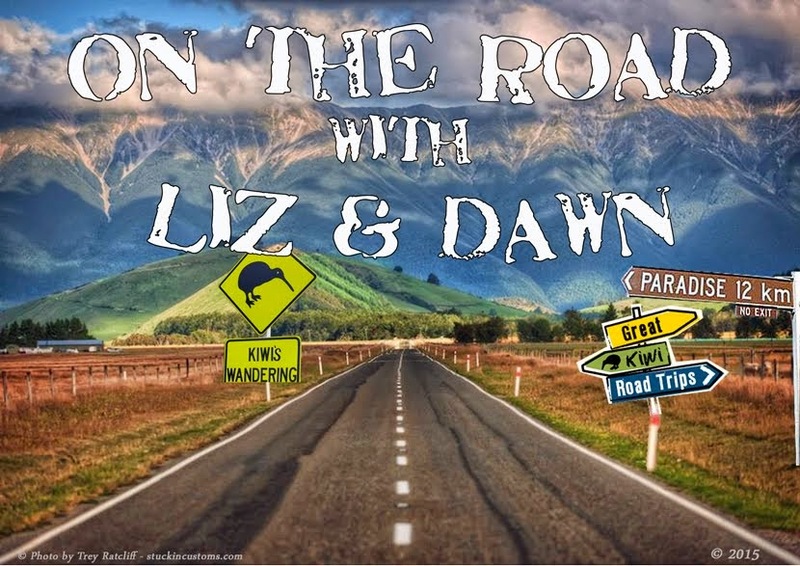 While we were stopped on the coast (taking the infamous video I posted on Facebook) Louise had a text from her sister to say they were on the way to Hanmer Springs so we decided to do a tiki tour there too. What a beautiful day it was and to top it all off we stopped to see the seal colony along the way, a magic day. Lunch at Monteith’s Brewery Bar (the blue building on the right) at Hanmer Springs then we were off again to Christchurch, by the time we arrived it seemed ALL of the motels (dozens of them in one street) had the ‘No Vacancy’ sign up and we were starting to despair, neither of us fancied a night sleeping in the car on top of two huge suitcases! We pounced when we finally saw one and luck was with us, the man in the front of us in the queue had somehow managed to book two rooms online instead of one and so he gave us the one with two beds, very kind of him. So we’re here for 2 nights in the Colonial Inn in Papanui.